Like many readers, I love finding out where my favorite authors get their ideas. Now, thanks to a series of tweets, we know the names of 28 women writers who inspired Neil Gaiman. I've got all 28 listed below — with book recommendations! — so stay tuned. If 28 seems like a low number to you, rest assured that Gaiman agrees. The author called his lists "very incomplete," to which fellow science fiction author John Scalzi responded, "Anyone who expects complete lists doesn't appreciate how many inspiring women authors there are out there." Gaiman's tweets were a response of his own. On April 2, during a speaking engagement at Boston University, literary journalist Gay Talese was asked which women writers he admired. "None," he said, and launched into a ludicrous explanation that claimed women did not want to talk to anti-social people or strangers, and therefore did not make good non-fiction writers. Of course, the question was not limited to non-fiction writers. Even if it had been, the fact that there are so many great women journalists out there makes Talese's inability to name even one more than a bit silly. He later tried to clarify his statements by saying that no women writers inspired him because there just weren't that many of them when he was growing up. Thankfully Gaiman, like most of the Internet, saw just how ridiculous Talese's statements were. Here are the 28 women writers who inspired him, presented with his tweets on the matter. Enid Blyton was a prolific children's author, but she's best known for her Famous Five series. Richmal Crompton wrote 39 of William's adventures, beginning with Just William in 1922. In addition to six Mary Poppins stories, P.L. Travers also wrote I Go by Sea, I Go by Land: a WWII novel for children. Gaiman has long touted Margaret Storey as one of his biggest inspirations, citing her "Melinda" books as some of his favorites. Ursula K. Le Guin has written many inclusive works of science fiction, including the Earthsea and Hainish Cycles. Catwings is the first in a quartet of fantasy books for children. Baroness Emmuska Orczy found literary success with a series of 16 stories about the titular Scarlet Pimpernel, published between 1905 and 1940. Even Hayao Miyazaki was inspired by Diana Wynne Jones, who wrote seven Chrestomanci books and two sequels to Howl's Moving Castle before her death in 2011. First published in 1953, Wilmar Shiras' Children of the Atom follows a group of highly intelligent and gifted children, born to parents who survived a nuclear explosion. The novel has long been rumored to have inspired the creation of the X-Men. It's no surprise that Gaiman was inspired by Shirley Jackson. Her WASP-y brand of horror is palpable in Coraline and The Ocean at the End of the Lane. In 1973, feminist science fiction and fantasy author Lisa Tuttle co-founded the Turkey City Writer's Workshop, which is sometimes called "the cradle of cyberpunk." Best known for Frankenstein, Mary Shelley also wrote The Last Man, which is considered the first post-apocalyptic novel of the modern age. Anne Rice's prose is flowery and elegant, and nowhere is it better than in Interview with the Vampire, the 1976 novel that put her on the map. According to legend, Scheherazade avoided becoming one of her king's murder victims by telling him 1,000 stories over the course of 1,001 nights. By the time her tales were complete, the king had fallen in love with her, and she became his queen. Judith Merril was a science fiction and fantasy anthology editor. Although she often wrote short stories, Merril penned three sci-fi novels, of which Shadow on the Hearth is the first. Joanna Russ' The Female Man is a feminist science fiction novel that explores gender relations in a series of fictional worlds and alternate histories. 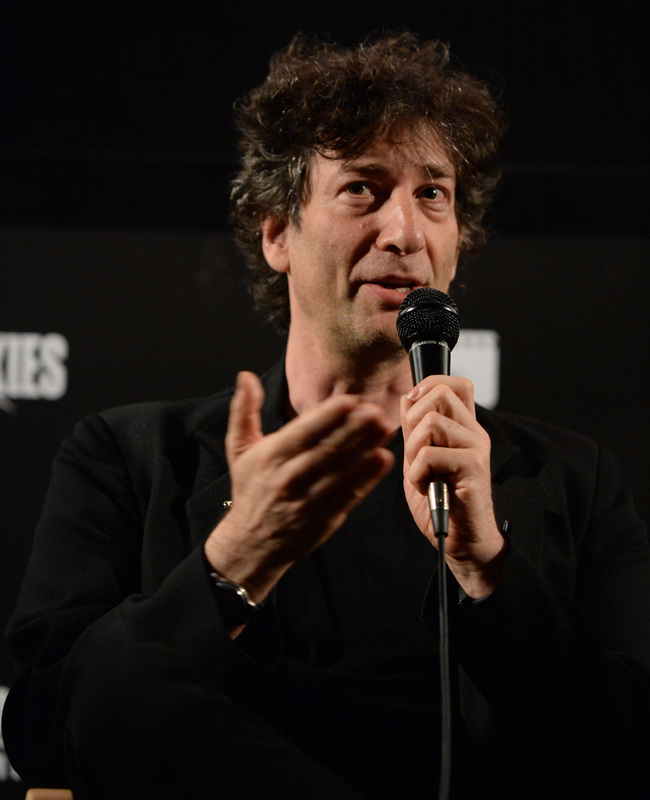 Neil Gaiman wrote the introduction to the 2005 reprint of Hope Mirrlees' 1926 novel, Lud-in-the-Mist, which he places among his top 10 favorite books of all time. In 1970, Joy Chant's first novel, Red Moon and Black Mountain, kicked off her best known fantasy trilogy, the House of Kendreth. Unfortunately, the author hasn't published anything recently. Angela Carter mixes old fairytales with violence and feminism in The Bloody Chamber. Madeleine L'Engle's two most famous series — the A Wrinkle in Time Quintet and the Austin Family Series — center on children with extraordinary gifts. Before she died in 1987, James Tiptree, Jr. enjoyed a career as one of science fiction's most celebrated writers. In 1991, fellow writers Pat Murphy and Karen Joy Fowler established the James Tiptree, Jr. Literary Award in her honor. She was inducted into the Science Fiction Hall of Fame in 2012. Guggenheim Fellow Kit Reed selected 35 of her own short stories for this collection, The Story Until Now, which she published in 2013. Dismissed as a flapper writer and later blacklisted at the height of the Red Scare, Dorothy Parker's acerbic wit shines in her poetry and short stories. Like many writers, Stevie Smith enjoyed turning accounts of her own life into fodder for her fiction. If Gaiman's doing the same, I want to trade lives with him. Evangeline Walton is best known for her Mabinogion Tetralogy, which retells the Welsh Mabinogion: a diverse group of stories that make up some of the earliest British literature. In her best known novel, Zora Neale Hurston explores a young black woman's coming of age in the early 20th century American South. Scary Stories to Tell in the Dark fans may recognize the title story from Lucy Clifford's collection; it was re-written for the children's horror series. "The New Mother" is the tale of two Victorian children, Blue-Eyes and Turkey, who get "a new mother, with glass eyes and wooden tail." E. Nesbit wrote dozens of children's books, but the first book in her Psammead series, Five Children and It, remains her most well known. Canadian author Margaret Atwood is most famous for her feminist dystopia, The Handmaid's Tale. Her 2015 novel, The Heart Goes Last explores life in the U.S. after an economic collapse.